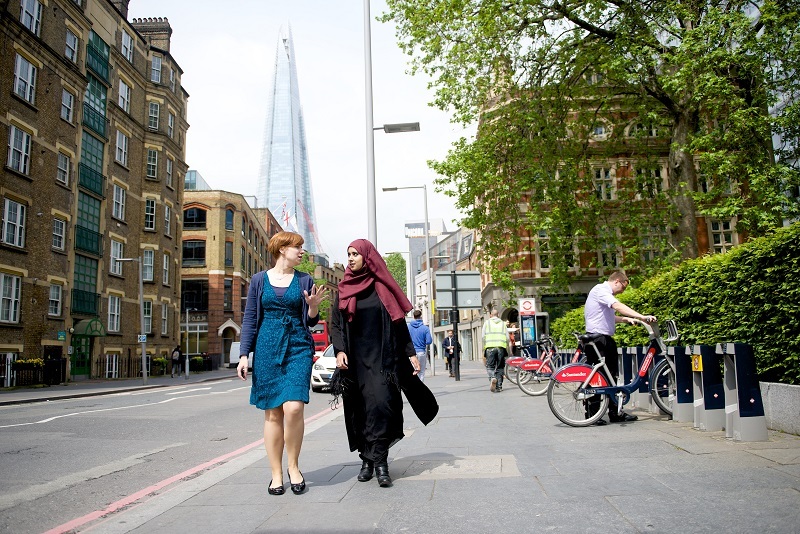 78 community projects in London will share £1.27m to help tackle air pollution, the Mayor of London Sadiq Khan has announced today (February 1st). Projects include green ‘pollution barriers’ for schools that will help protect against toxic air, plus new green spaces for housing estates, community gardens to help improve mental health and wildlife habitats in parks. The projects will be awarded between £5k and £50k from the Mayor’s Greener City Fund each across 26 boroughs and will create and improve 650,000 square metres of green and waterway spaces –the equivalent of 40 football pitches. The schemes will involve more than 5,000 adult volunteers and more than 40,000 children. A recent report by the Air Quality Expert Group found a ‘green barrier’ between cars and pedestrians can halve the levels of pollution behind the barrier. The Mayor of London, Sadiq Khan, said: ‘It is unacceptable that our filthy air is affecting the lung growth and respiratory health of our young children, especially those who go to school by busy, polluted roads. My funding will help create much needed new spaces for communities to enjoy and help reduce toxic pollution with green barriers in and around schools to protect our children from polluted air. The winning Community Green Space projects include help for 29 primary schools located next to some of London’s most polluted roads, which will receive a combined total of £400,000 for green infrastructure in playgrounds to reduce children’s exposure to toxic traffic emissions. Marner Primary School in Bromley-by-Bow, Tower Hamlets, has been awarded £30,000 from the fund to transform its playground with a range of green measures to reduce emissions from the highly polluted A12 and nearby Devas Street. The school is one London’s most polluted primary schools, and was one of 50 assessed last year as part of the Mayor’s air quality audits programme. Since 2017, the Greener City Fund has funded 188 projects in all London boroughs.